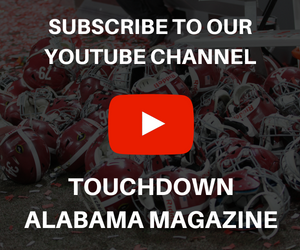 The chatter going around Twitter in the buildup to Alabama’s primetime matchup next week versus Louisiana State University is centered on the Crimson Tide not having the talent – aside from Tua Tagovailoa – to stop the Tigers from going to the Southeastern Conference title game. While it has every right to be proud of the improvements it has made, the Tigers must also be aware of the smoke coming behind Nick Saban. 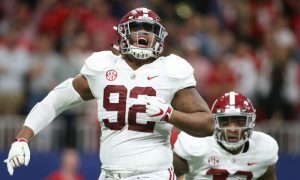 Five-star ratings and potential National Football League greatness can be seen at each position for the Tide, including on its offensive line. Jonah Williams is the program’s best lineman at left tackle, and though this year’s group has been much better in pass protection than in recent seasons, the marquee game on Nov. 3 will feature an individual that intends on shoring up one of Alabama’s finest staples on offense. Sticking to the process has not been easy for Deonte Brown, but the redshirt sophomore has buckled down and continues to push for a starting job. With injuries and inconsistent play haunting Lester Cotton, Brown seized a window of opportunity last week versus Tennessee. 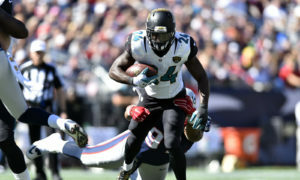 During that week of practice, he showed soundness in technique, footwork and playing assignment football. Offensive line coach Brent Key appeared to be pleased with what he saw and in Saban’s game week presser on Wednesday, he said there is competition at every position. 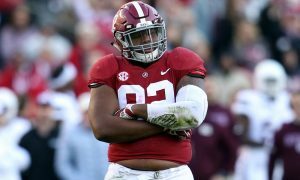 Brown got the start against the Volunteers and reminded Tide fans of the impact players it once had in guys like Andre Smith, Chance Warmack, Anthony Steen and Alphonse “Shank” Taylor. These former standouts were exceptional run blockers, especially when it came to understanding who was matched up on them and then fully taking control of the situation. 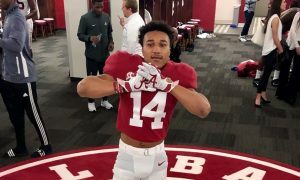 Listed at 6-foot-4 and 344 pounds, Brown has the capabilities to be an elite road grader and create big-play chances for Alabama’s rushing attack. 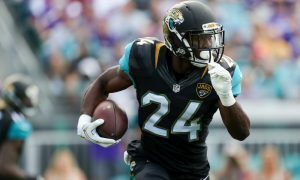 The coaching staff saw a glimpse of it inside Neyland Stadium, as the former four-star cleared the way for 218 yards rushing and four touchdowns on 42 carries. Josh Jacobs fed off Brown’s energy in totaling a team-high 68 yards rushing with two scores. 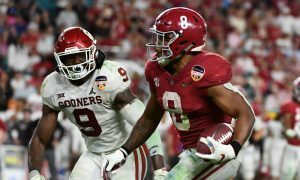 Behind the native of Decatur, Ala., the Tide’s backs averaged 5.2 yards per carry and boasted two 60-yard rushers in Jacobs and Brian Robinson. 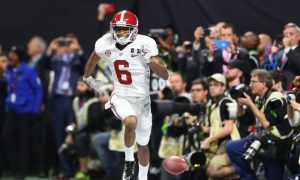 Despite not having the best of views from the sideline, Saban remained confident in Brown displaying a quality performance in the Tide’s 58-21 win. 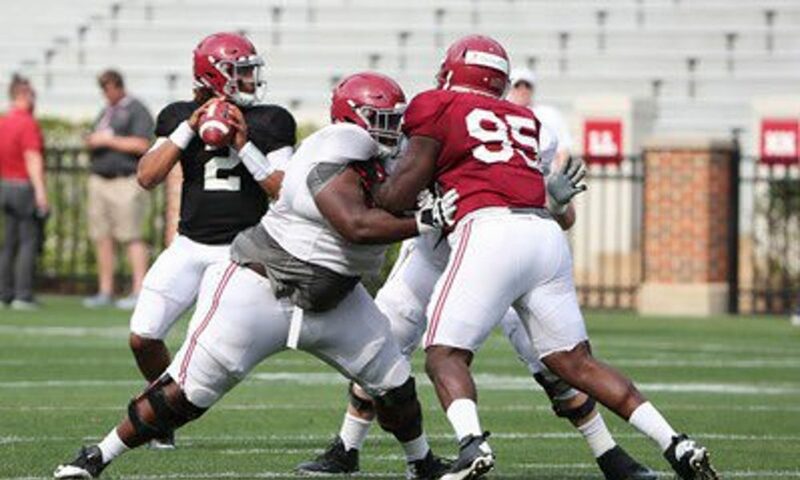 Although he came to Alabama overweight, Brown found his exercise in carrying teammates on his back after practice and lost weight by committing to the dietary regiment from the nutrition staff. He was tabbed as a top-10 offensive guard in the state of Alabama via almost every recruiting network and was also listed at No. 126 on the ESPN 300 out of Austin High School. LSU has a physical defense and the best way to counter that is running behind a massive offensive lineman. Next week is setting up to be the coming out party for Brown.